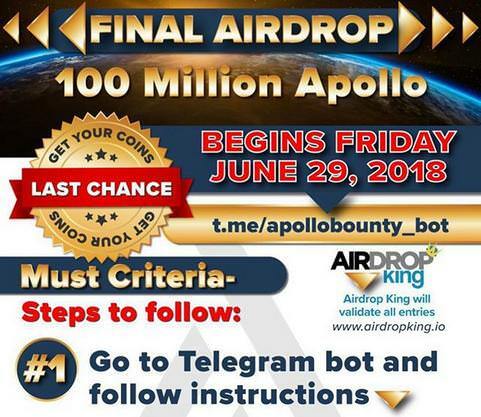 All tasks are optional and you can gain up to $90 worth of Apollo tokens for completing them all. Refer friends and receive an additional 400 tokens per referral. Further instructions on submitting your address will be posted soon. 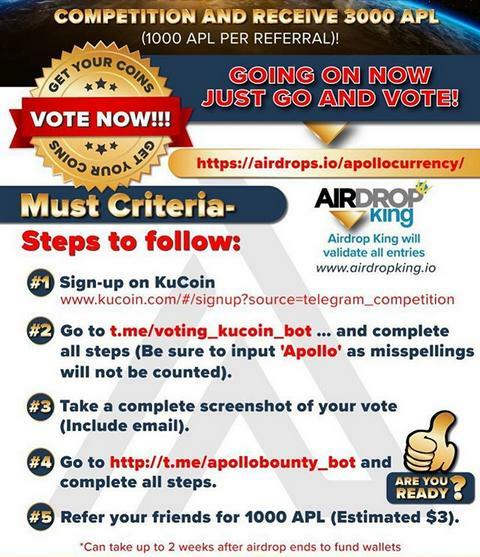 We believe Apollo has a great shot at being one of the top 20 currencies. It has enormous potential in many capacities. For one it includes the option for private or public transactions. All of the largest privacy coins in the market do not include a public transaction option, this is critical for mass adoption. Apollo has brought features that have previously only been available outside of the private market. Apart from being a potentially major player in the token/ICO market (They will have a smart contract and side chain system like Ethereum).